Note that these pages contain extensive graphics and may take some time to load on slow connections. NWLGG Home In every miniatures player there is a little showmanship. Some of the pleasure in the hobby comes from showing your figures to other people and seeing how much they appreciate what you've done with them. The chance to show your work to a world-wide audience is a major temptation to veteran miniatures painters, and our Gallery is set up just for that. Some of our members have been painting and converting for over a decade, while others have only started to really work on technique in the past year or two. Many of us have won local awards for modeling and painting, and one member even earns a living sculpting figures. However, whatever our experience we're all quite proud of the results and can point to some of the best visual spectacles in our area when we lay out our armies. 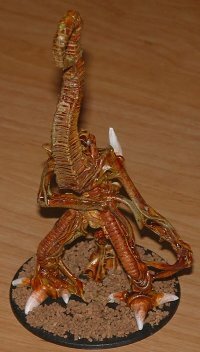 We have started some how-to articles here on photography in the Gallery, and we hope to have some how-to articles on painting and converting techniques. 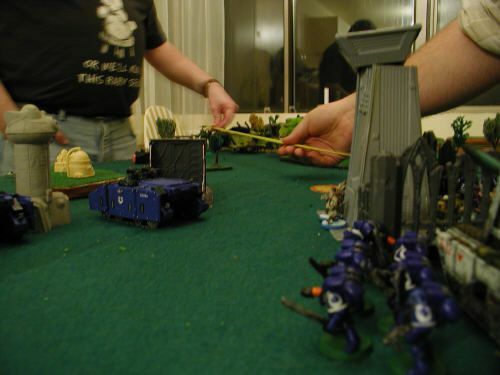 After all, playing against a player with a well-painted army is almost as much fun as playing with a well-painted army... sharing the wealth only makes the hobby better for all of us. We hope you enjoy the Gallery and perhaps come up with a few hobby ideas of your own. If there's something you'd like covered, or have an idea you'd like to share, feel free to contact us by email and we'd be glad to hear from you. There is no better way to share your miniatures collection than to put pictures up on the world-wide web, and the simplest way to do that is to use a digital camera. We're proud to present an ongoing series of articles on the techniques of taking digital photographs of miniatures. NWLGG member Scott Hussey's series on the basics of macro photography. NWLGG member Steve Patterson's upcoming series on using photo editing software to enhance your pictures.